This season we are excited to offer pasture raised hogs finished with apple pressings. 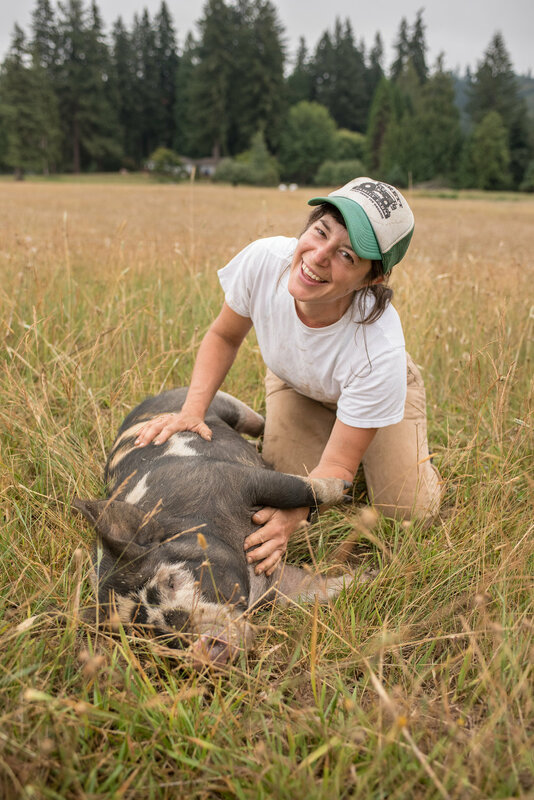 Our pigs are a new breed- the Idaho Pasture Pig. These animals have a friendly disposition and thrive on grass forage. We’ve been managing them on paddocks in a rotational grazing system, and think you’ll be able to taste the difference! Our pigs are fed pomace (apple-smoosh from cider pressing) from a local cider house specializing in traditional English varietals from late August through September. You’ll love the sweet, rich taste of this pork! We are offering half and whole hog shares this season and a deposit of $200 for a whole or $100 for a half will reserve your share. 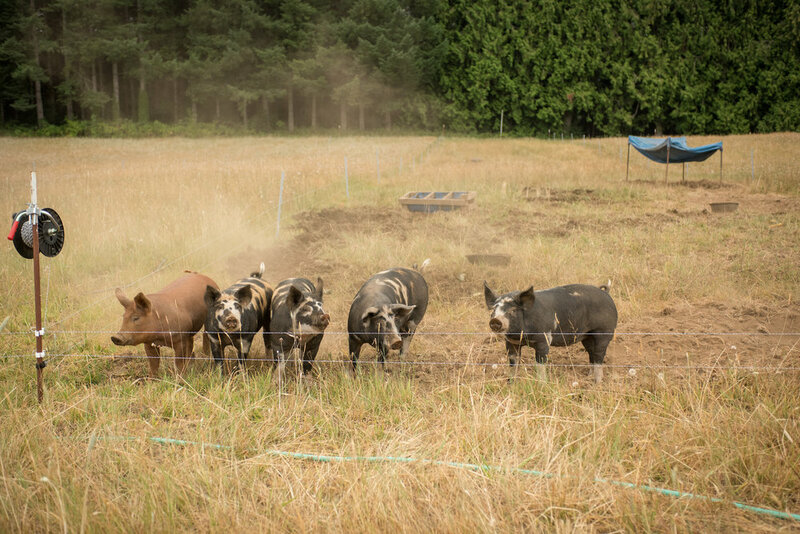 The cost of a hog share consists of two payments, one to the farm and one to the butcher. 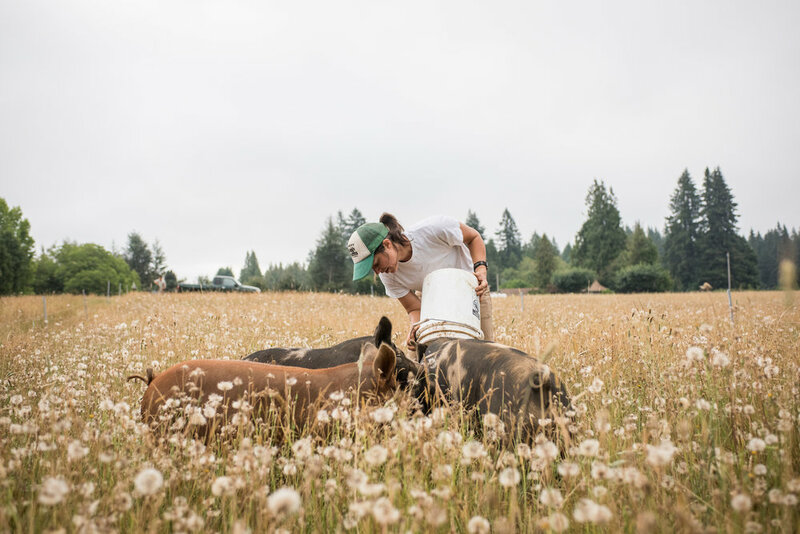 The price of each share paid to the farm is $5.75/lb for pasture-raised and is determined by the hanging weight of the hog. The farm receives the payment for the hanging weight (minus your deposit) and the butcher receives the payment for slaughter and disposal plus cutting fees. Please note that there are extra fees associated with smoking meats (ham, etc. ), curing bacon and making sausage.